Penuel was chartered as a Missouri Corporation in 1973. We were subsequently recognized by the Internal Revenue Service as a 501(c)3 charitable organization, which means that gifts to us are tax deductible. 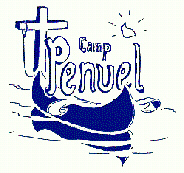 Camp Penuel East was started in 1994 in Eldred, PA and presently takes over 800 children a year. We are non-denominational, and our main focus is inner-city and underpriveleged youth ages 7-11. Penuel is now beginning our 27th year of reaching out to kids under the leadership of Rev. Harry H. Douma and our Board of Directors. To date the three camps have taken over 37,000 children in our free camping program with thousands of these making life changing decisions for Christ. At present Camp Penuel in Ironton recieves over 2,500 children a year. We are located on beautiful Lake Killarney and Anderson Mountain in Ironton, Mo.